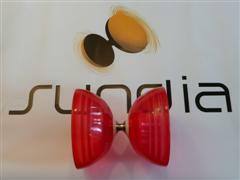 It features a two part cup design borrowing on ideas from the Evo range of diabolos. It feels lighter yet just as stable. The inner coloured material is both heavier and firmer than the clear outer part, providing both stability and optimal weight distribution. 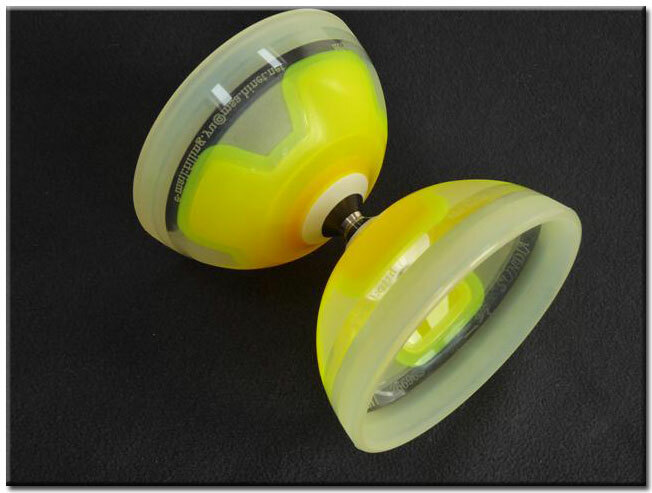 The softer outer cup material is very durable and absorbs the knocks, drops and bumps which are inevitable with a diabolo. The coloured inner section has the same textured finish as the Evo range, giving the same smooth feeling, reducing tilt caused by friction and making corrections easier whilst the outer cup is smooth to facilitate easier hand throws.